The holidays are a magical time in Breckenridge. A light snow covers all the twinkle lights as locals and visitors mingle around town sipping on hot cocoa, enjoying a yummy snack or relaxing with friends after a fun day of skiing with a local brew. You will find activities and events for the entire family during the holidays. 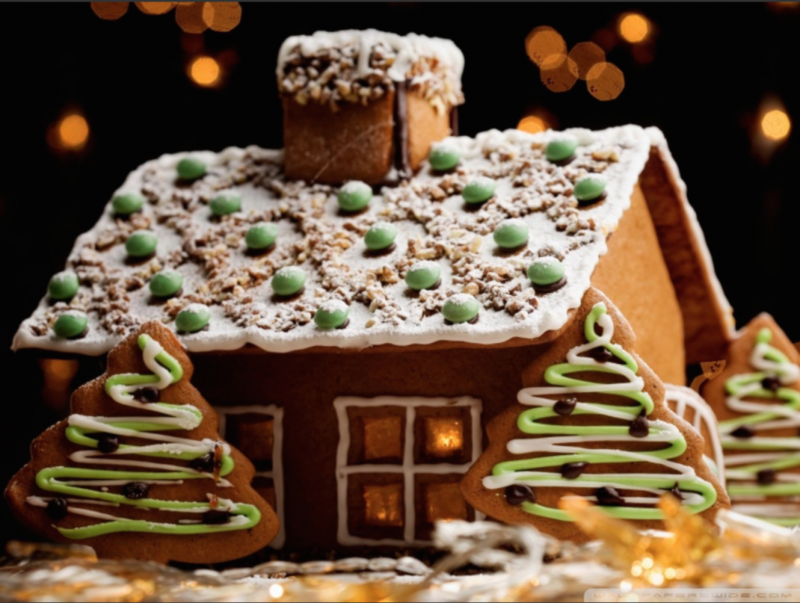 From building gingerbread houses to a presentation of the Nutcracker Suite and, if you are lucky, you might even see Santa on ice skates! The first weekend in December begins Breckenridge’s annual transformation into a sparkling holiday scene. 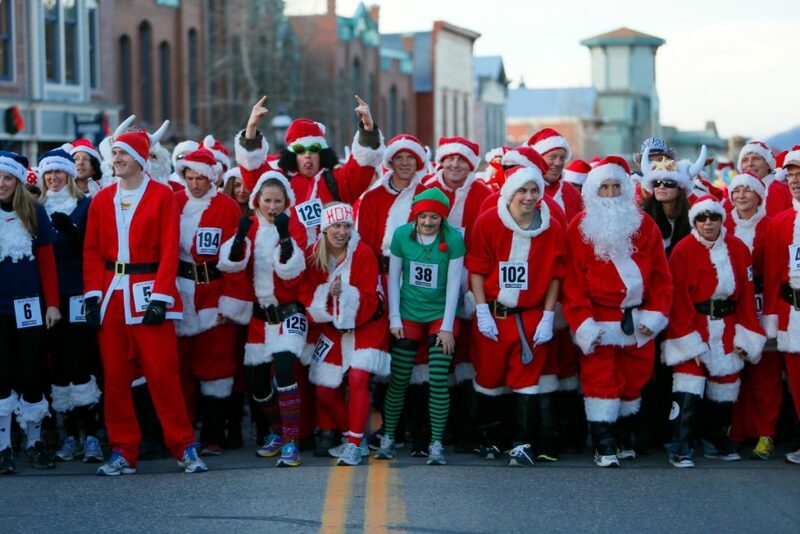 Participate in the Race of the Santas, where hundreds of jolly look-alikes race down Main St. and watch as Santa uses his magic to light up the town for the season. Other activities include a Holiday Dog Parade, Phil Kline’s “Unsilent Night” procession, and an opportunity to meet Santa himself! Join us in the sweet holiday tradition of decorating a festive Gingerbread House at the Old Masonic Hall on Main Street. This is a free, hands-on, family-friendly activity and kids of all ages are welcome with a parent or guardian present. No registration required at this drop-in workshop that is first-come, first-served. Materials are provided and participants will be able to take their projects home. The event will serve as a U.S. Ski & Snowboard Olympic qualifying event for men’s and women’s halfpipe and slopestyle snowboarding and skiing competitions. 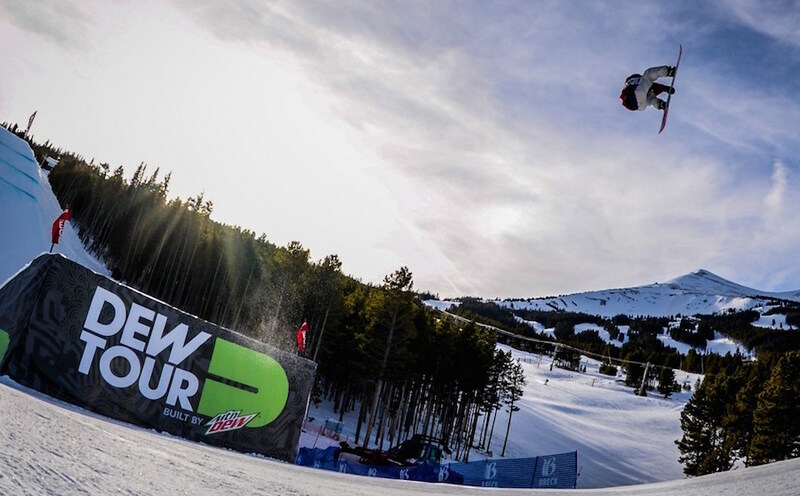 The Dew Tour will also host Team Challenge and Streetstyle competitions and a calendar of fan-based activities, both up on the mountain and also in town. Entertainment for all ages! Happy Holidays from the Lincoln Park Team!